When it comes to hitting, Michael Lotief has his players focus on the brain more than mechanics, to stunning success. Somewhere among the crowd in the Valley of Elah, as David slung the stone that slew Goliath, someone smiled not at the result of the heave but the mechanics of the throw. 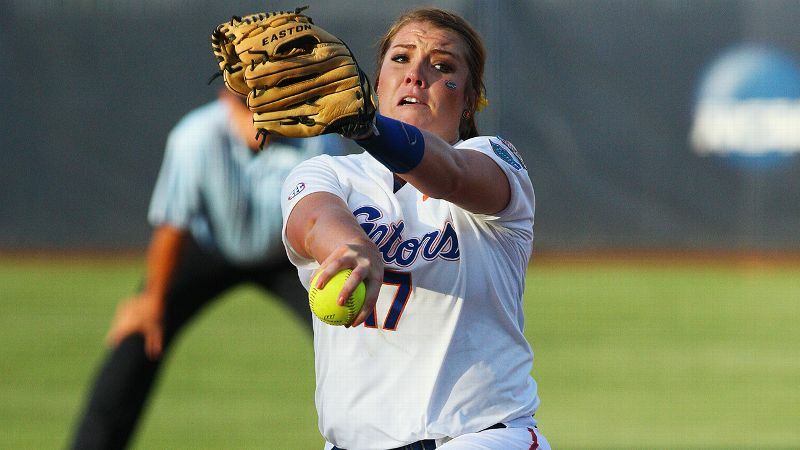 It might have looked like the smile on Michael Lotief's face as Lexie Elkins launched yet another home run deep into the Louisiana night during an NCAA tournament regional to help ensure college softball's outsiders remain entrenched among the sport's elite teams. In a television interview from the field during the regional final his Louisiana-Lafayette team played against Baylor, Lotief was asked to explain the rise of Elkins, the junior catcher who leads the nation with 31 home runs this season and ranks best among players still in the NCAA tournament with a 1.081 slugging percentage. Lexie Elkins, with 31 home runs, will lead the Ragin' Cajuns into a super regional against Auburn. "It's all about her," Lotief said. "That kid's competitive, incredible hand-eye, the work ethic, pitch recognition. I mean, she's the total package. And she's been a pleasure to be around. She's made me better." All of which may all be true in the case of perhaps the most underrated hitter in the nation, certainly the most underrated hitter left in the tournament (proof of which comes in the form of her omission from the list of 10 finalists for USA Softball Player of the Year). It is a magnanimous deflection of credit to the player. It's just that if entirely true, to borrow an allusion less biblical than David and Goliath, it also makes Lotief some kind of Forrest Gump, the coach who happened to be in the right place as history unfolded. 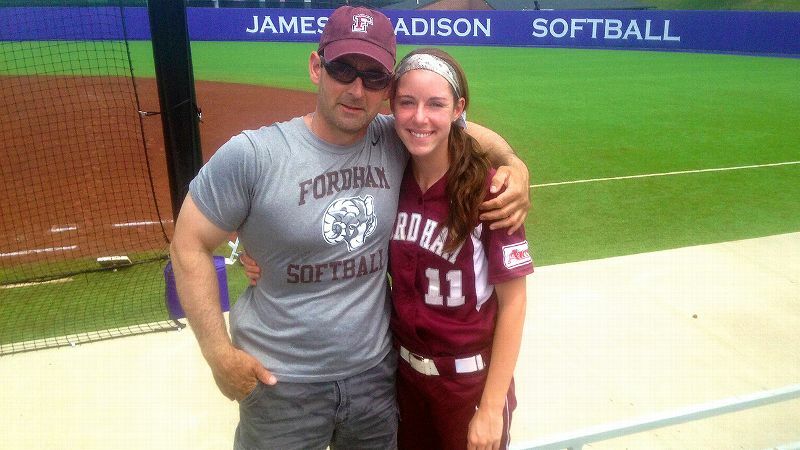 He just happened to be around to watch Danyele Gomez, barely recruited out of high school, hit more runs than any player who didn't wear an Arizona or UCLA uniform until Lauren Chamberlain arrived on the scene. He just happened to be in the right place when Holly Tankersley followed Gomez and hit more runs than all but seven players before her in NCAA history. He just happened to be there when Christi Orgeron then hit one fewer home run than Tankersley and had two of the most prolific RBI seasons in history. And he was the lucky beneficiary when Elkins, who hit a grand total of no home runs as a mostly full-time starter at Texas Tech as a freshman, started to launch moon shots. Surely, Lotief was pressed this past week, his presence is the common denominator. "If you want to talk about biomechanically what we do in our system, we can talk about that," Lotief said in pondering the long list of names. "The first thing they better have is that competitive fire, that willingness to love that one-on-one battle between them and the pitcher. They love that. It does something to them intrinsically. ... That's the common denominator, no question about it." Not that there is anything common about what goes on in Lafayette. The result of the super regional between No. 4 Auburn and No. 13 Louisiana-Lafayette will either confirm the sport's newest power or reconfirm its most unlikely dynasty. Game 1 takes place Friday afternoon at 2 ET on ESPNU. In the case of Auburn's rise in just two seasons under the direction of Clint Myers, hitting is the driving force. The year before Myers took over, Auburn hit .279 and struck out 102 more times than it walked. In his first season, with mostly the same roster, the team hit .305 with just 10 more strikeouts than walks. The Tigers enter the super regional this season hitting .346 and have 56 more walks than strikeouts. It is an ascent similar to, if even more rapid than, the one Arizona State made in his first two seasons at that school. Even if his explanations of his methods rarely go into much detail beyond a preference for swinging at good pitches, admittedly good advice, Myers is clearly one of the sport's best teachers. He just isn't alone this weekend. Louisiana-Lafayette enters the super regional second in the nation in slugging percentage. This is not a surprise. The NCAA has archived statistical data available dating to the 2001-02 season. 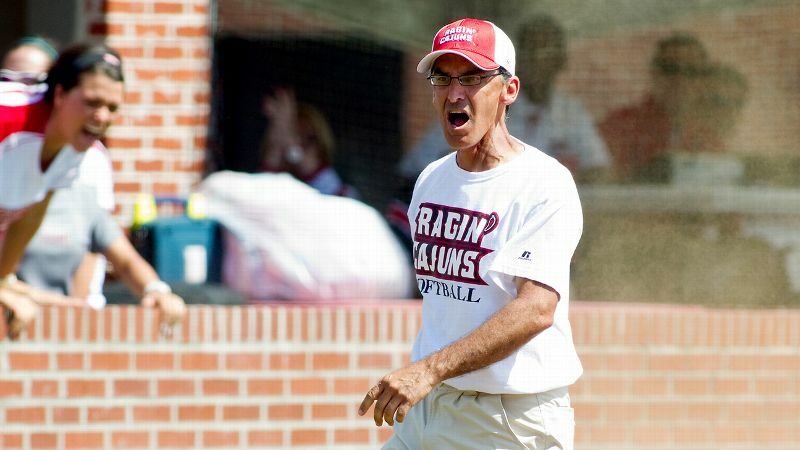 In those 14 seasons, during which Lotief was a constant working with the program's hitters, the Ragin' Cajuns ranked outside of the top 30 in slugging percentage twice. This would be the eighth time in that span they ranked in the top 10. When players still used aluminum bats and teams hit half as many home runs as they do these days, Louisiana-Lafayette was a better power hitting team than almost anyone else. As bats grew hotter and run production skyrocketed across the country, Louisiana-Lafayette remained better at it than just about anyone else. And by and large, from Gomez to Elkins, they did it with hitters that others passed on or didn't develop. Just hitters who love the competition against the pitcher. "We ignite that fire," Lotief said. "I think that's what this program does. If you bring that competitive personality into this environment, it ignites it." We ignite that fire. I think that's what this program does. If you bring that competitive personality into this environment, it ignites it. How it does so is through hitting, lots and lots of it. Lotief aims for players to work on hitting at least two hours a day, whether that's swinging a bat in a variety of settings or watching video. Louisiana-Lafayette is not a program flush with money, not compared with the SEC programs that surround it in the South, yet players will find just about any hitting aid they desire, all the "gadgets and toys" as Lotief put it. Much has been made over the years of the split-grip approach employed by many of the program's hitters, the batter's hands distinctively spread apart on the bat handle as the name implies, but there is no one-size-fits-all system. Elkins, for example, never uses the split-grip technique. 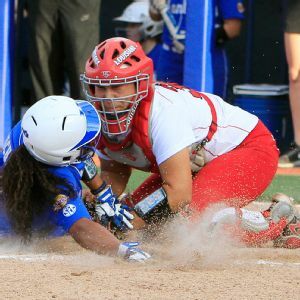 When Elkins arrived from Texas Tech in search of a fresh start after a freshman season in which she slugged .350 with just eight extra-base hits and no home runs, she and Lotief worked on physical components of her swing, on better leveraging her lower body and changing her swing plane to generate more power. What interests Lotief more than the body is the brain -- motor learning more than biomechanics, to borrow his favorite terms. "The mind doesn't work fast enough to tell the body what to do," Lotief said. "The mind has to understand what the body needs to do in order for the body to do it. You've got to get the mind first for the body to come along. The only way to do that is through conversation after conversation after drill after drill." It can sound hopelessly technical, the province of a self-described "intellectual nerd," but someone whose experience prior to Louisiana-Lafayette consisted of 12-and-under travel ball clearly has an ability to translate the information. Trained as a lawyer before he made coaching his career, he prefers to bring the Socratic method to the batting cage. "Any time he gives us something, we like to give him feedback," Elkins said. "He accepts feedback from us. He doesn't expect us to all be the same. I know sometimes from the outside looking in, everybody thinks that we do it the same way, but it's not like that. Everybody has different hitting styles. I think that's where the dialogue comes in. We each do things different. We each have things that work for us in different ways." The common denominator for a program that continues to play above its station is that it always works. "Philosophically, there is a commitment in our program that we want to develop the kid to be the best power hitter in the country," Lotief said. "I mean, that's what we're trying to do."